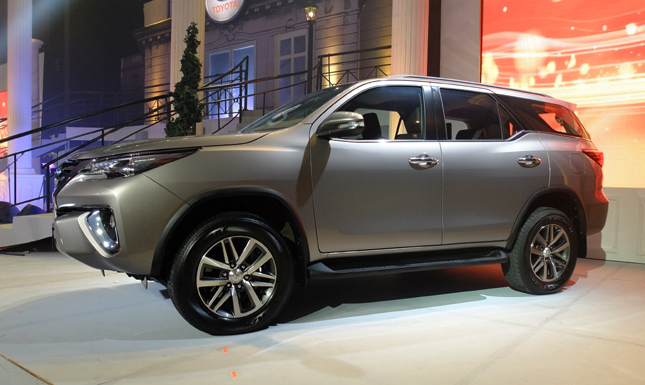 Everything you need to know about the all-new Toyota Fortuner. After seeing the all-new Toyota Fortuner up close, it’s so promising we already wondered how to raise money for a down payment. The design and the refinement are so good it seems to have skipped a generation--although given how long the gestation is for IMV models, a drastic improvement is welcome. 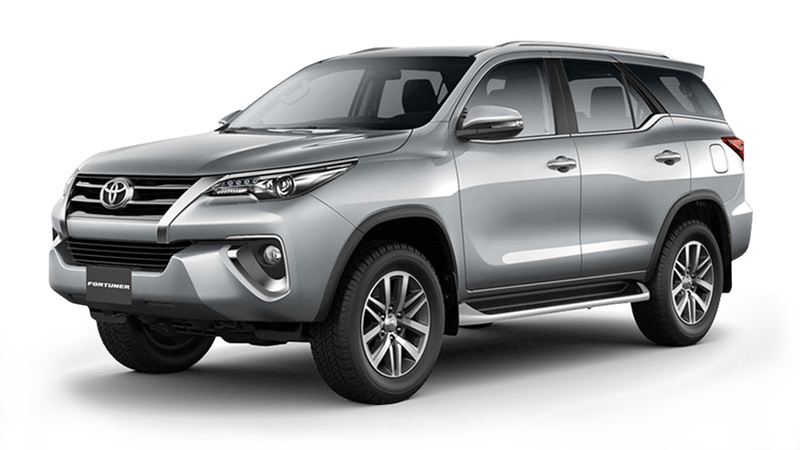 So, how improved is the new Fortuner? We already know it looks great, but what lies underneath the good-looking metal are mechanical and safety upgrades that elevate Toyota’s midsize SUV to new levels of power and secureness. First off, yes, the new GD-series engines are here, and they pack a wallop. As you already know, for the top-spec variant, displacement has gone down to 2.8 liters compared to the previous generation, but the power numbers went up. 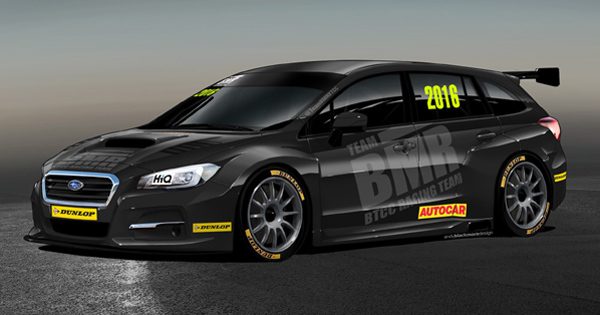 Output has increased by 13hp to 174hp, and torque has surged by 107Nm to 450Nm. If the top 4x4 2.8 V variant is a bit too daunting for your bank account, take comfort in the fact that the 2.4-liter Fortuners are no slouches. Power is 147hp, which is still okay, but torque remains a heady 400Nm--still way more than the predecessor’s output. There's a lone 4x2 G gasoline version with a 2.7-liter mill. 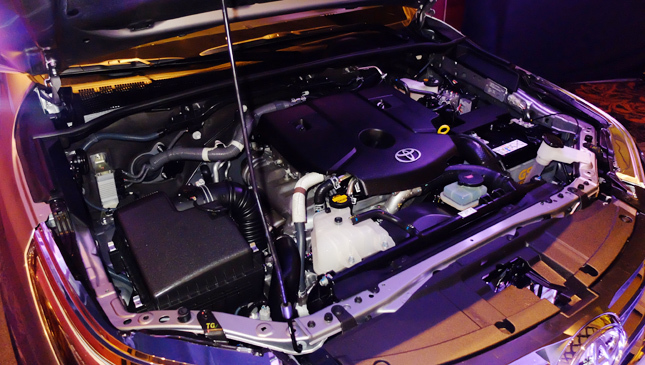 It's good for 163hp and 245Nm, which is a tiny improvement over the previous gasoline-fed Fortuner. A six-speed automatic transmission with sequential control handles all the newfound grunt of this new model. For those who like it old-school, a six-speed manual shifter is available in 4x2 G diesel configuration. If you do step up to the 2.8 V Fortuner, you will bask in the attention your 18-inch alloy wheels will bring. The V grade also has a cabin color palette of dark brown, black and wood trim, and you’ll wonder for a few minutes if you’re inside a Land Cruiser Prado. Occupants in this variant also get front, driver knee, side and curtain airbags--and it’s hard to put a price on safety. Also exclusive to the 2.8 V are the electronic nannies only previously found on European brands: stability control, active traction control, hill-start assist, trailer sway control, and brake assist. But the most promising variant in terms of price and features seems to be the 2.4 V, which still gets most of the toys the 2.8 V version has. The V-spec Fortuners have LED headlamps with auto leveling, daytime running lights, leather seats, push-start systems, smart keyless entry, six-way driver power seats, automatic climate control, cruise control, and backing-up sensors. So what’s left for the rest of the lineup (the G variants)? There’s still enough goodies to make the P1.5-million-and-below club enticing. The cabins are elegantly done in chamois, black and dark wood trim. Across the board, all Fortuners get LED brake lights, steering-wheel audio and multi-information display (MID) controls, tilt and telescoping steering column (finally), speed-sensing auto locks, 4.2-inch MID screen, and dual airbags. 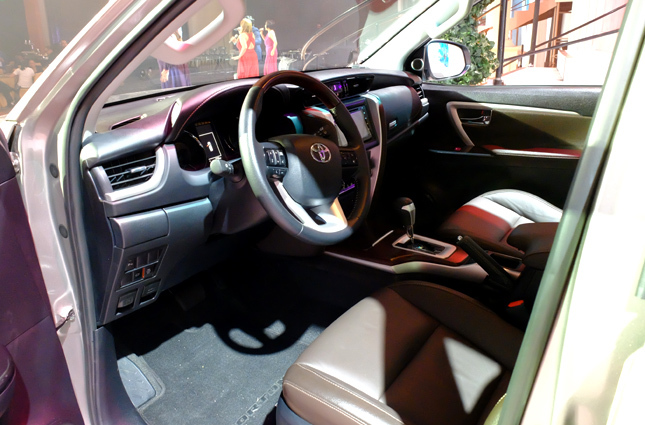 Both V and G variants are equipped with a 6.5-inch touchscreen audio system with Bluetooth and navigation capabilities. The former has a slight advantage in that it can play DVDs, but both pump out music through six-speaker setups. 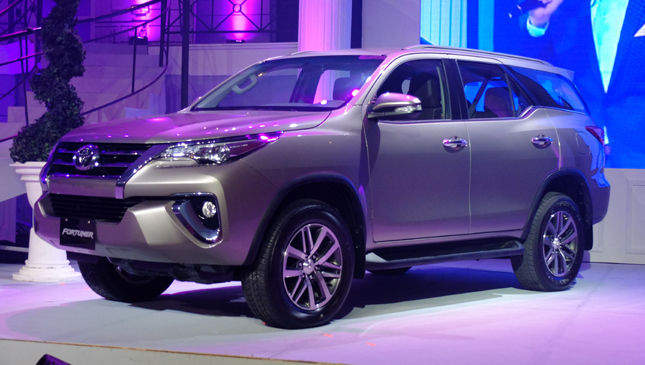 Now, for the big question: Is the all-new Fortuner still matagtag? The product material says there are double wishbones in front with coil springs and a stabilizer, and four-link coil springs in the rear with a stabilizer and a lateral rod. That sounds about the same as the old setup, save for an additional stabilizer in the rear. 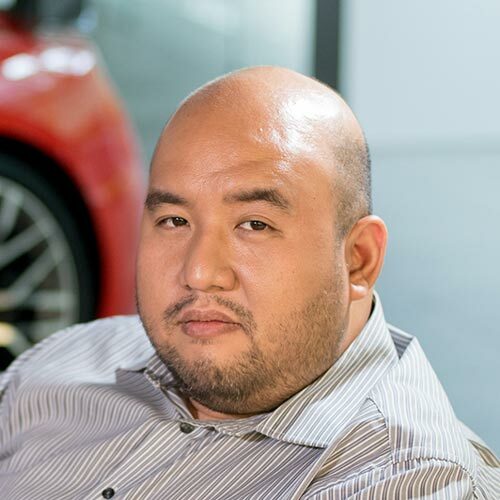 Obviously, only a test drive will clear up this matter, and Toyota Motor Philippines has already given us first dibs. There you have it: The new Fortuner is larger, more stylish and stronger. It is also laden with features. Based on these alone--coupled with Toyota’s vaunted reliability and service--there’s enough reason to make a reservation now. (Check the official price list here.) But since units won’t go on sale until March, you might as well wait for our driving impressions.